This just in… 10 questions with Rivergods’ singer/guitarist Ben Parent by wailingcity.com… check it out and vote for the Rivergods in the 2012 Whalie Awards while you’re there! 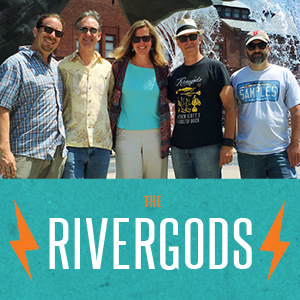 Hey all… The Rivergods will be back at the New London Food Stroll on Wednesday, May 16 from 5:30-8:30 pm, playing in front of the Hygienic Art Park. C’mon out for the music and/or the food… the music’s free, but you’ll need a stroll button to sample all the delicious food and drinks from many of New London’s best restaurants. Always a great time, with lots of other music and entertainment (like the Ancient Mariners, above). More info here. This just in! The Rivergods have been nominated for a 2012 Whalie Award again this year. Last year, we won for ‘Best Americana Band.’ This year, they have divided up that category, and but us under ‘Best Blues/Country Rock’ (!) Also, Rivergods’ singer Nancy Parent has been nominated in the ‘Best Singer/Songwriter’ category, and the Sinners Circle (co-founded by Ben Parent) has been nominated for the third year in a row in the ‘Best Music Series’ category. So feel free to pop over to Wailingcity.com and throw us (or whoever) a vote if you’re so inclined… we’ve got some tough (and worthy) competition this year! Thank you!